Drama in Michigan lame-duck: Good government reform or naked power grab? Republican legislators are moving bills in lame-duck session that critics contend are efforts to grab power before they lose it in January. Republicans counter the measures are good-government reforms that they’d support even if they weren’t in control. Good government or a naked power grab? The debate was sparked this week by a flurry of bills introduced in the waning days of Republicans’ eight-year control of all branches of Michigan government. And it promises a contentious four-week lame-duck session as the GOP-controlled Legislature winds down its two-year term in December. Republicans will still control the Legislature come January, but Democrats, led by Gov.-elect Gretchen Whitmer, are taking control of top elected offices from Republicans. Democrats and good-government watchdog groups say the GOP bills are an obvious attempt to hold on to as much power as they can before they lose it. Republicans say the reforms are overdue, and they’d support them even if they didn’t control the Legislature. House Bill 6553, sponsored by state Rep. Rob VerHeulen, R-Walker, would allow the Legislature to intervene in court when one or both chambers “deems such intervention necessary in order to protect any right or interest of this state, or of that body.” The bill would give the Legislature the same right as any other party to a lawsuit to ask for an appeal. 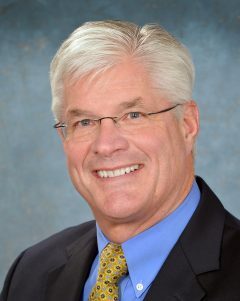 Senate Bill 1250, sponsored by state Sen. David Robertson, R-Grand Blanc, would move responsibility for enforcement of state campaign finance law from the Secretary of State’s office to a new, bipartisan commission consisting of three Republicans and three Democrats appointed by the governor from lists of candidates provided by state political parties. A message for comment was left Thursday with Robertson’s office. Senate Bill 1176, sponsored by incoming Senate Majority Leader Mike Shirkey, R-Clarklake, passed in the Senate. The bill would prohibit disclosure of donors to nonprofit groups organized under the federal Internal Revenue Code’s Section 501(c). That would include charitable organizations, as well as groups that engage in political activity. The only way the information could be disclosed is through a court order. Senate Bill 1197, introduced by state Sen. Tom Casperson, R-Escanaba, was voted out of committee but not yet taken up on the Senate floor. The bill would authorize the Mackinac Bridge Authority to operate a tunnel beneath the Straits of Mackinac as part of enabling Gov. Rick Snyder’s recent deal with Canadian energy giant Enbridge Inc. to replace the aging and controversial Line 5 pipeline. Bill testimony echoed concerns over whether the Mackinac Bridge Authority is the right entity to manage the tunnel. Democrats say the bill could make it tougher for Whitmer and Attorney General-elect Dana Nessel to follow through on campaign promises to shut down Line 5. Republicans in the state Senate also introduced legislation to implement two voter-approved constitutional amendments, to create an independent redistricting commission and expand access to voting in Michigan. 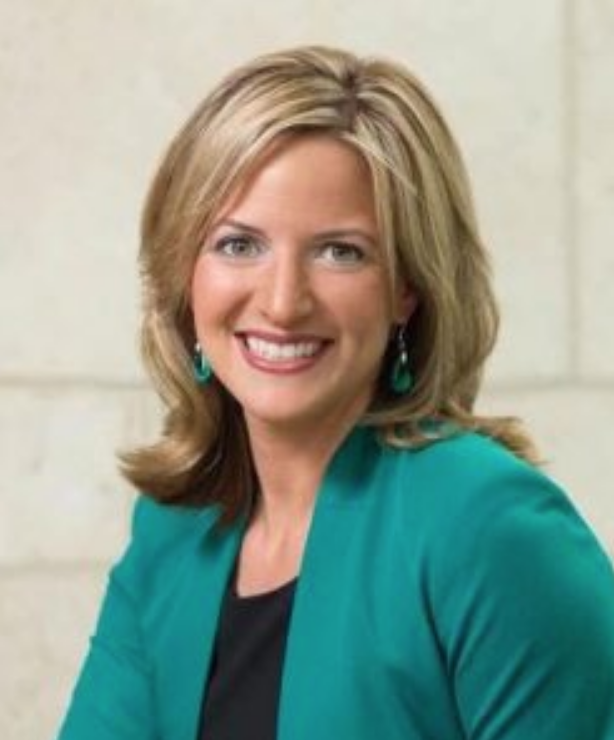 Democratic Secretary of State-elect Jocelyn Benson will play a significant role in managing both efforts. Term-limited Gov. Rick Snyder, a Republican, hasn’t tipped his hat as to whether he’d sign any of the controversial bills if they reach his desk. Michigan is not the only state experiencing such tests on shifting power. In Wisconsin, Republicans reportedly are discussing ways in which they might limit incoming Democratic Gov.-elect Tony Evers’ authority, billed as a check on the growing powers of the executive branch. Similar efforts have been tried, and litigated, in North Carolina. “There’s no question that once the governor changes parties, that creates a new incentive for the Republican-controlled Legislature to try to No. 1, do things before the new governor comes in, and No. 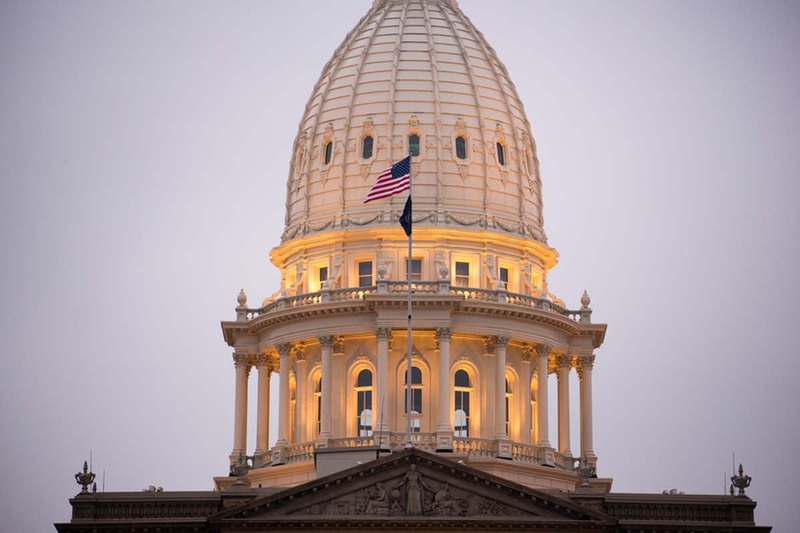 2, do things that might keep power in the hands of the Legislature,” said Matt Grossmann, director of the Institute for Public Policy and Social Research at Michigan State University. Benson was more blunt, calling the legislative effort an “end run around democracy” on a radio show Friday morning. “Every voter in the state of Michigan should be outraged, because if any of these things go through, it creates a dangerous precedent,” she said in an interview on WJR in Detroit. Shirkey said his bill to prevent disclosure of donors is a free-speech protection that would prevent donors to nonprofits such as Right to Life from harassment. “I don’t think anybody should be exposed to somebody infringing upon their freedom of speech by the choices they make as to where they spend their money,” he told Bridge Magazine. He said his bill would not restrict the attorney general’s ability to investigate fraud actors, but would require a court order. Craig Mauger, executive director of the Michigan Campaign Finance Network, said the campaign finance-related bills would limit a Democratic administration from setting rules to increase transparency around money in politics. He and Benson both noted the likelihood that a bipartisan commission could deadlock, rendering enforcement of campaign finance violations impossible. Gideon D’Assandro, a spokesman for Republican House Speaker Tom Leonard, said the bill to allow the Legislature to intervene in court cases is intended to give lawmakers a stronger voice in the process as more state legislation tends to be challenged in court. Leonard lost the Nov. 6 election for attorney general to Nessel and has said he would support VerHeulen’s bill even if Democrats controlled the Legislature and he had won the election. Nessel is “deeply concerned and troubled” by how quickly the bill came up in lame-duck session, and that it “appears to be an intentional effort on the part of some legislators to undermine the role of the state’s Attorney General,” transition spokeswoman Kelly Rossman-McKinney said in a statement. D’Assandro denied the bill is intended to thwart Nessel, who said during her campaign that she didn’t intend to defend laws that were unconstitutional, and that lawmakers already can compel the attorney general to defend state laws. Incoming Republican Senate Majority Leader Mike Shirkey, of Clarklake, said his bill to prohibit disclosure of donors to nonprofit organizations is an effort to shield donors from being harassed because of their contributions. Taken together, these efforts in Michigan and other states indicate that political norms are eroding and will continue to erode public trust and contribute to gridlock, said Peverill Squire, a political science professor at the University of Missouri. “This is short-term thinking at its worst,” he wrote to Bridge via email. If these were such great ideas why didn't the Republicans bring them up and pass them years ago while they held all the major state offices? We should do away with the Lame Duck sessions. If you are afraid to share a bill before the election it’s probably not a good bill. Someone, I guess I will, should remind the republican party that elections have consequences. Where have I heard that before, Michigan voters have spoken, your time has come and gone, deal with it. I'm waiting for info from Bridge specifically on what plans the legislature has up its sleeve regarding the 3 proposals voted and approved by our citizens in November. Sooooooo, was there anything to address ridiculously high auto insurance and constantly unjustifiably increasing costs? Was there anything to address a gas tax and vehicle fee increases that Michigan Voters made explicitly clear in 2015 we did not want? Was there anything to pull the plug on Snydercaid before it blows a gaping hole in the general fund? Was there anything to address the Michigan Income Tax? Since this is a republican created problem, it makes perfect sense that they would want to clean things up while there still is time. It's a shame that Michigan doesn't have a Part-Time Legislature. Shielding donor identities does not promote freedom of speech. There is no guarantee of anonymous speech. We are supposed to have government of by and for the people, and corporations and non profits are not people. Government run amok. The Michigan Republican legislature's tactics are no different than those under scrutiny in Wisconsin; namely, to totally disregard what the people of the state want--and voted for! Number one: shut down line 5 entirely--our Great Lakes are, in fact, great because they supply 20% of the earth's drinking water!!! They must be protected from fossil fuel spills, invasive species, etc. because mankind needs drinkable water!! It's that simple. And why are the Republicans pushing for nondisclosure of donors, except by court order? This is to protect the corporations that line legislators' pockets while endangering the health and safety of the people of Michigan by advancing fossil fuels. We need clean energy, not tar sands oil, not fracking. This isn't Russia yet--we're still Americans and demand transparency.